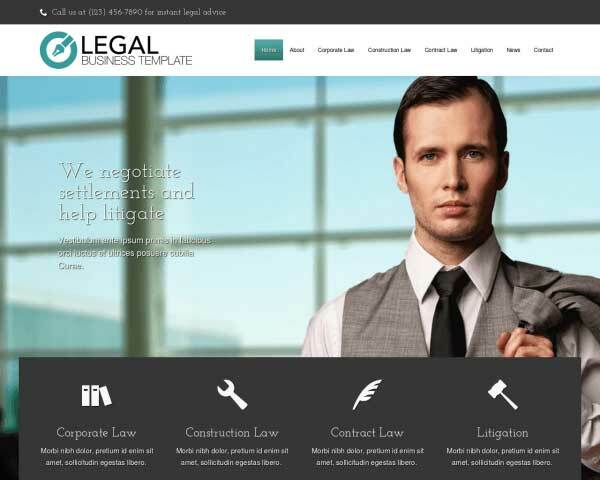 You help clients grow their businesses, let the Consultant WordPress theme help you grow yours by attracting new business online with this sleek pre-built website template. Just fill in your own text and photos to get your consulting services online fast. 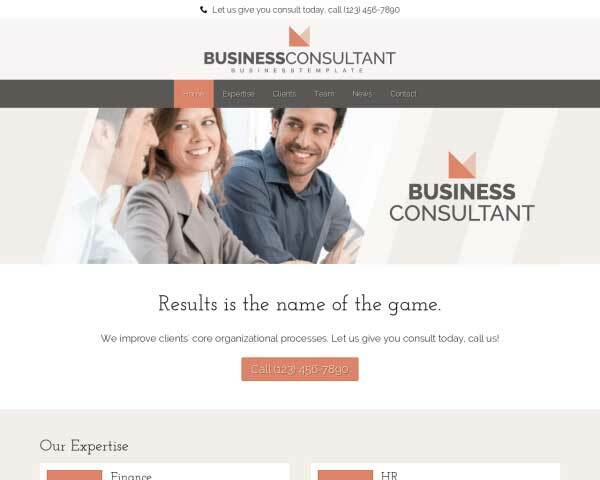 Whatever your specialty, the Consultant WordPress theme helps you get your consulting services online with a website that looks great and requires no coding skills to build or maintain. 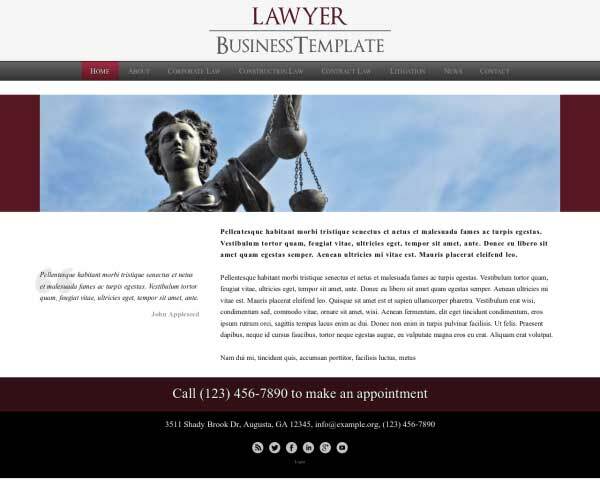 The pages of this pre-built website template are filled with demo content ready to be replaced with your own text and images. Our visual front-end editor allows you to customize the color scheme with just a few clicks and rearrange page layouts with drag and drop widgets. Save yourself the time of searching for plugins with premium features like integrated social media, customizable contact forms, a simple SEO manager and sleek responsive design. 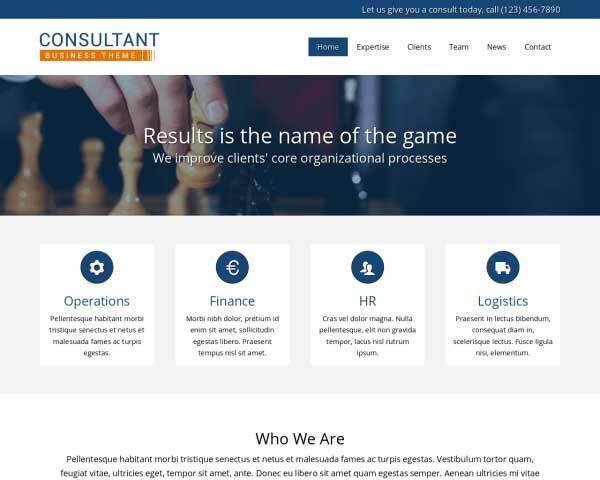 Featuring a goal-oriented homepage layout and dedicated pages for consulting services, a company profile and contact details, the Consultant WordPress theme is a smart business solution for consulting firms that need a professional yet affordable website. Although WordPress has moved away from being a straight blogging platform, the Consultant WordPress Theme couldn't do without these powerful features. 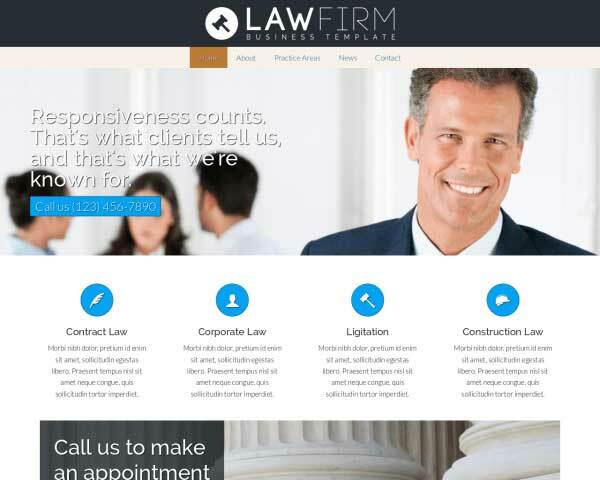 We've built this premium theme to help build your business services business through a professional website that you can be proud of! With the Consultant WordPress Theme, your visitors will be treated to a comprehensive and easy-to-navigate website, but they'll never have to search for a way to contact you with a call to action located on every page. Any website should make the task easier for you to get into contact with prospects. 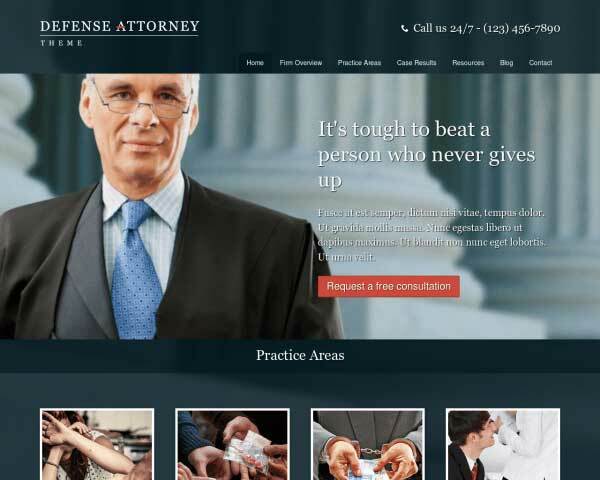 With both your contact information and a contact form the Consultant WordPress Theme does this job perfectly. 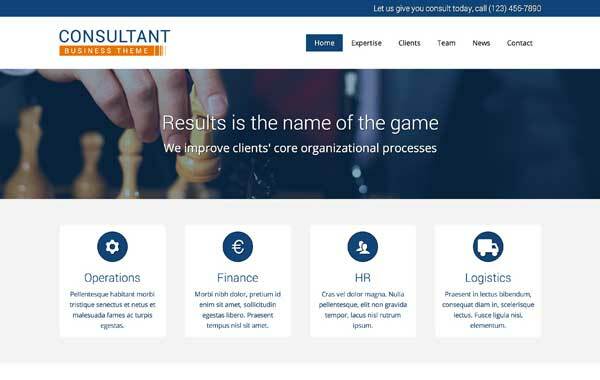 The Consultant WordPress Theme has a strong design, which is accomplished by the spacing of elements, and the way the colors are being mapped and re-used throughout the site. 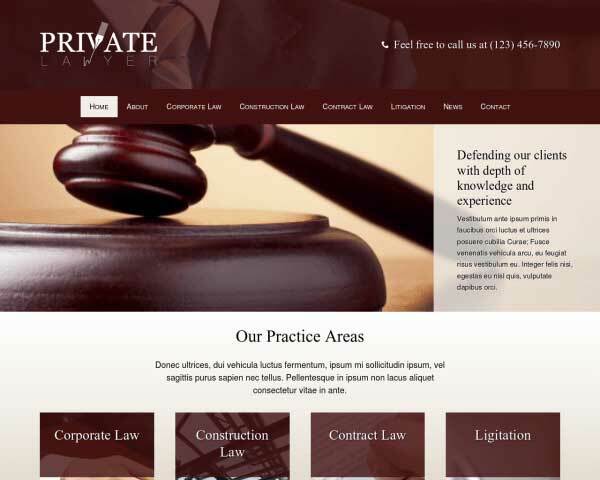 Show prospective clients the amenities your business offers on the Consultant WordPress Theme's fully-customizable service detail pages. 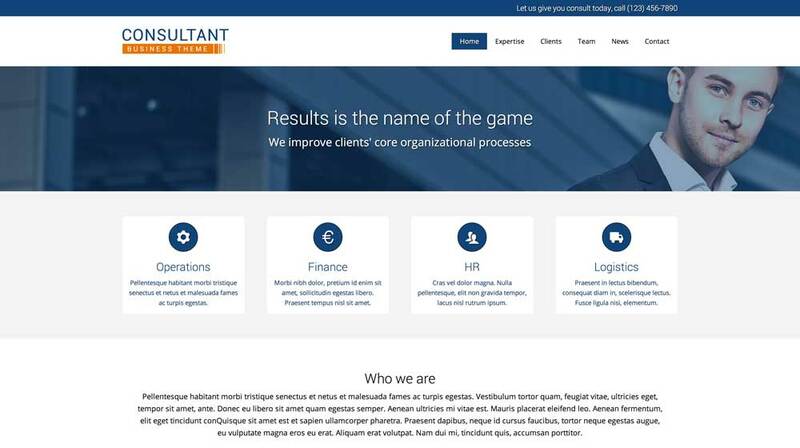 The clean layout of the Consultant WordPress Theme let's your website's visitor know instantly what solution you can offer for their respective problems. Share your background and approach on the Consultant WordPress Theme's about page, set up with space for your bio and a profile pic. Easily adjust the layout or add more rows of content as needed. Tooting your own horn is not nearly as effective as letting someone else do the talking. 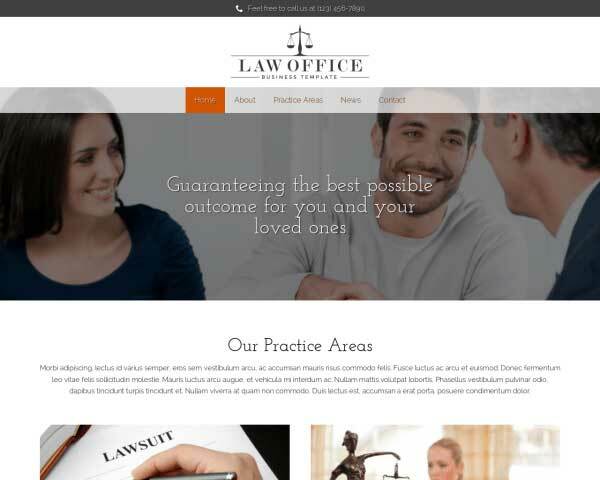 The testimonial section is a great tool to achieve this goal. 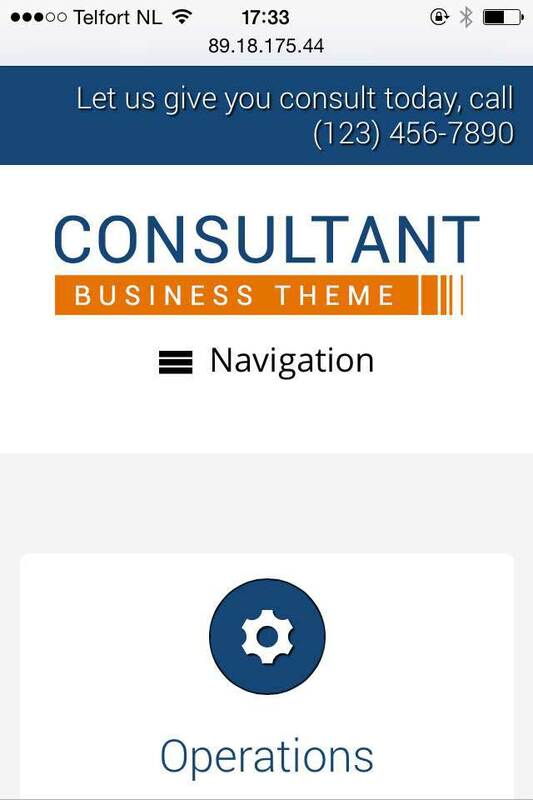 The Consultant WordPress Theme has a place to add your business' trust icons. Either the associations you're part of or the brands you use, or both, can be placed here. 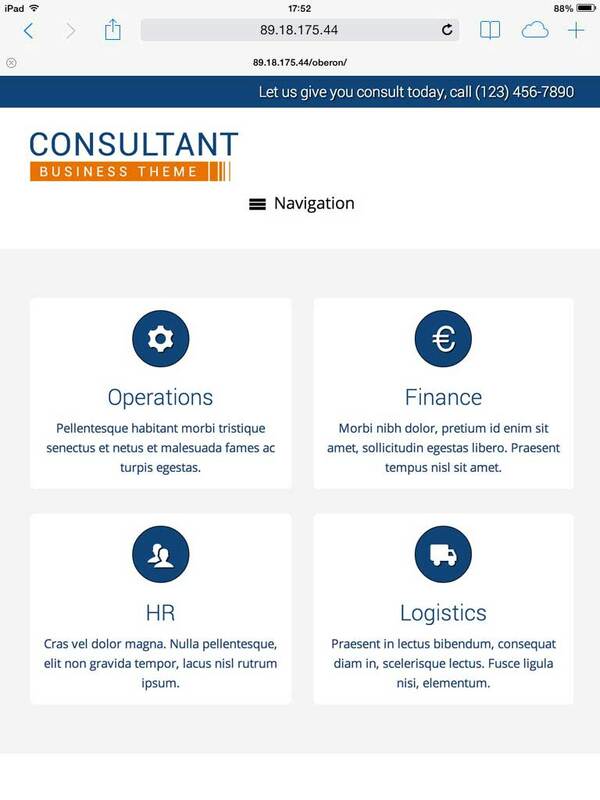 Clients who want to learn about your consulting services using smartphones and tablets will enjoy the same professional look and functionality of the desktop version when you build your website with the responsive Consultant WordPress theme. Without any additional coding or plugins required, our mobile-optimized design will automatically adjust the layout of your content to adapt to any handheld device. We keep your website looking great when viewed on any screen size even as you add new content or as new mobile devices enter the market.